Announcing: "The Case of the Prowling Bear"! Have you been wondering what Hank the Cowdog #61 will be about? "Everyone knows that bears live in the mountains…and there are no mountains in the Texas Panhandle. 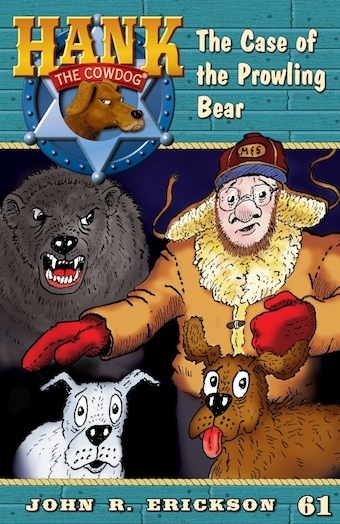 So, when Slim claims to have seen a bear cross the road, no one knows what to believe, that is, until Deputy Kile spreads a report that there really is a bear on the loose in Ochiltree County! With news like this, the ranch’s Security Force goes on Red Alert. Will Hank be able to defend the ranch from a raging, prowling bear?" Details and contests to come, so stay tuned!